Happy Friday to you! I'm over at twelveOeight today sharing one of our family's favorite Thanksgiving traditions. It's a simple way to show your gratitude to those you love. Click here to see my entire post for today. 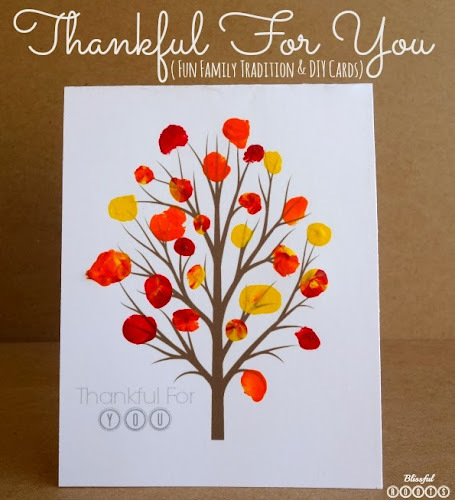 I'll tell you what we do every day in November for this tradition, and I also have a printable card you can download that can be painted with cute little fingerprint leaves. 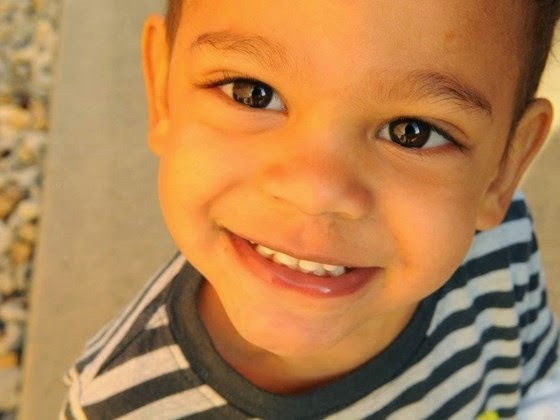 Many of you have sent kind wishes to my nephew (he was diagnosed with leukemia on Monday) and his family. Thank you so very much for your thoughtfulness! It's hard to experience trials in life, but the love and support of people is more evident during these hardships than any other time. Our family has been buoyed up and amazed by the goodness of others! On Wednesday they learned the cancer has spread to his spinal fluid. To treat the cancerous cells in his spinal fluid, he needed spinal taps in addition to his chemo. Yesterday he responded very well to the spinal tap treatment, so hopefully he won't need too much more of that, just his chemo. It will be a long, tough road to recovery, but he's in very good hands, and our faith is strong. My husband set up a site to help Ben and his family during this difficult time. You can click here to see more. Adorable card. Thanks for sharing. So glad you like the card, Leslie! Thanks so much for stopping by! Enjoy your weekend! So pleased to see that your little nephew responded so well to the spinal tap. I hope that your family reaches their fundraising total soon, to help Ben through this difficult time. Thanks for your kind words for Ben, Angela! He is doing well, but it will be a long, long road to recovery. So nice to see so many people's kindness and support at this time. Thanks again! Thank you for this free printable - I never would’ve been able to create that on my own!! Perfect for Thanksgiving cards!